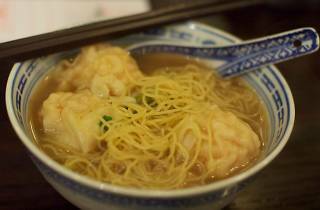 They're one of our favourite local foods and a dime a dozen – but where do you go for the best wontons in Hong Kong? A hidden gem in Yuen Long, this long-standing institution has been serving up some of the best wontons in the city since 1949. Their shrimp-filled wontons have a hint of crisp sweetness that works wonderfully with the rich-flavoured broth, which is slowly boiled with pork and fish bones over time to reach that desirable amount of lip-smacking thickness. Patrons can also purchase packaged dried noodle bundles and shrimp roe to take home with them. $26. 67 Fau Tsoi St, Yuen Long, 2476 2495. Recently upgraded to its new location in the chic and trendy Hysan Place, Ho Hung Kee is one of the longest standing wonton institutions in Hong Kong. Founded in 1946, Ho Hung Kee has won a Michelin star as well as many accolades in its almost seven decades of operation. Though some may argue it’s lost a bit of its gleam in recent years, the wontons are still flavour-packed and filled with crunchy shrimp, even though it comes at a pretty penny. $53. Shop 1204-1205, 12/F, Hysan Place, 500 Hennessy Rd, Causeway Bay, 2577 6060. Anchored on the quiet corner of Parkes Street in Jordan, this classic eatery is a favourite among hungry foodies looking for a plain and simple bowl of tasty wontons. A slight variation from the traditional shrimp-only wontons, their signature wontons have traces of shrimp roe and pork wrapped in a silky smooth flour sheet along with the usual filling of fresh shrimp. $33. 51 Parkes St, Jordan, 2736 5561. The non-stop influx of wonton fanatics at this unpretentious local eatery proves that less is more. Miniscule pieces of shrimp are delicately held together by a thin, translucent skin hidden beneath the springy, al dente noodles soaked in a flavourful broth. The freshness of the shrimp and the quality of the broth shines through here and the flavours will have you craving another bowl, which you should indulge in, despite the queues. $37. 77 Wellington St, Central, 2854 3810. Making its way on to the Michelin-recommended list, the famous ping-pong sized wontons here are the star attraction at this cosy noodle joint. Stuffed with delicious fillings of pork and shrimp, the rich flavour from the well-balanced broth permeates the thin-skinned wontons beautifully. If you're looking for a spicy kick, garnish your wontons with the homemade chilli sauce. $24. Shop B, G/F, Jade Centre, 98 Wellington St, Central, 2850 6471. By midday, you will see hordes of hungry diners making a beeline for this unassuming eatery. 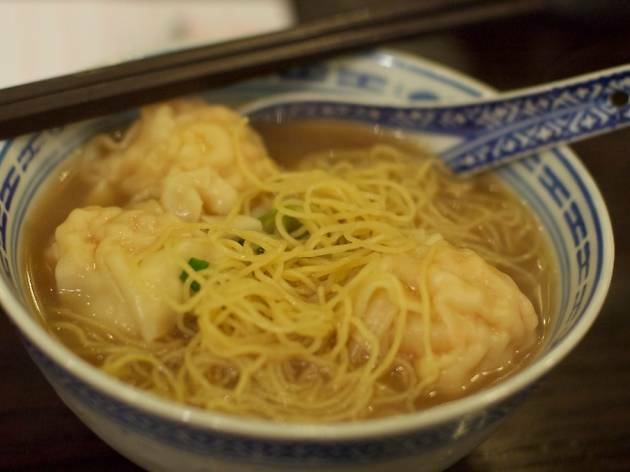 Unlike other wonton specialists, the dumplings here are generously portioned – great big plump shrimp wontons that pair well with the perfectly cooked egg noodles. Our kind of thing indeed. Add a dash of their very own homemade chilli to the bowl and you'll see that the wait here is well worth it! $36. 30 Pottinger St, Central, 2801 6352.